It's official. 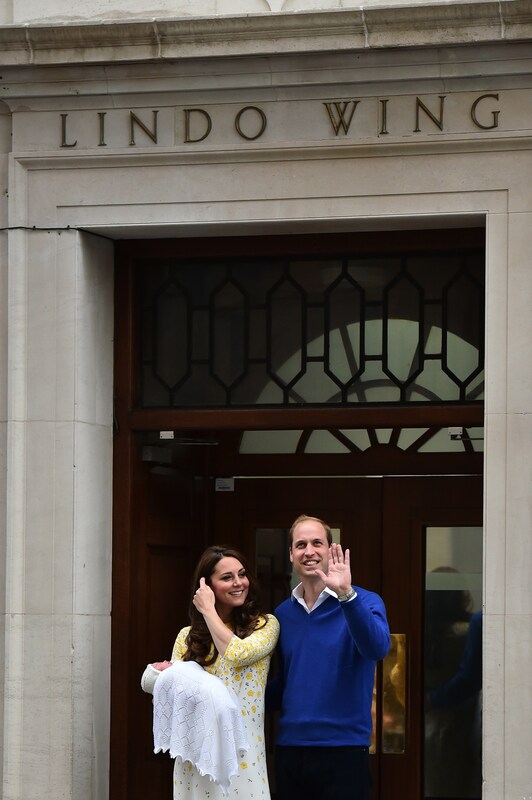 The second royal baby has arrived, and her name is adorable. As previously reported, the Duchess of Cambridge, Kate Middleton, gave birth to a beautiful baby girl early Saturday morning at 8:34 AM BST and, only nine hours after delivering the little princess, Middleton was spotted leaving St. Mary's Hospital in west London looking as posh and radiant as ever. After wild speculation concerning the name of the newest princess, her name has finally been announced. According to the BBC, The Duke and Duchess of Cambridge officially announced the addition of Princess Charlotte Elizabeth Diana to their happy family. From the moment of Princess Charlotte's birth, the Internet has been buzzing with rumors as to what the newest royal addition would be named. Betting websites like Ladbrokes and Paddy Power have favored Alice, Olivia, and Charlotte as the top three contenders. Meanwhile, social media was pulling for Elizabeth, Diana, and Victoria, names which obviously bear strong ties to the royal lineage. With the revelation of Princess Charlotte Elizabeth Diana's name, it's clear that people had the right idea. Now that the mystery of royal baby #2's name has finally been solved, we can finally relax, sit back, and pray for more pictures of the adorable newborn Princess Charlotte to fawn over.